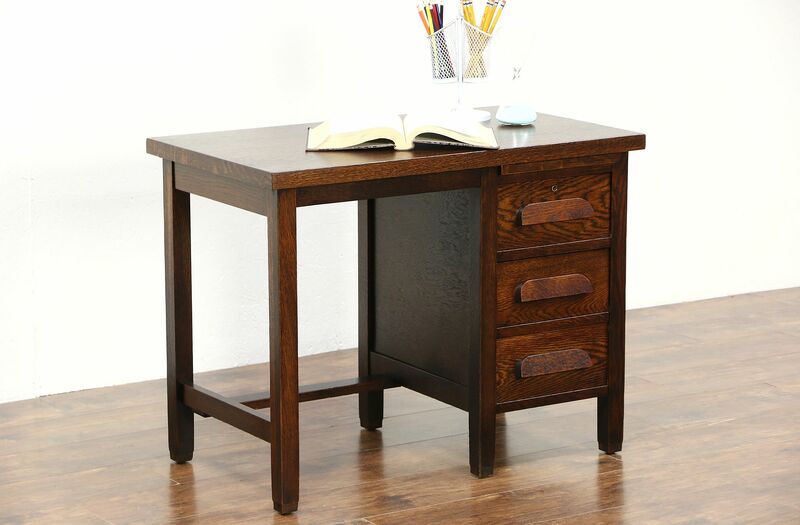 A child or youth size desk from the Arts and Crafts or Mission Oak period dates from about 1905. Quarter sawn oak has an excellent restored finish on this American made antique Craftsman furniture. Drawers have original carved pulls and dovetailed joints. Size is 34" wide, 20" deep, 26 1/2" tall and legroom is 23" high.